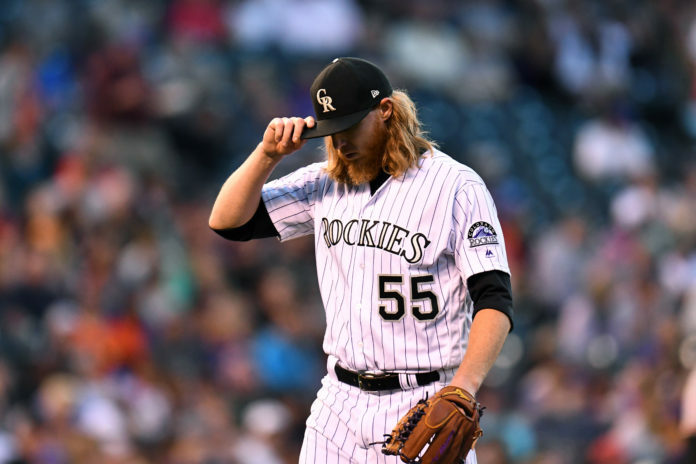 When Jon Gray takes the mound Wednesday night in Cincinnati, he’ll do so at a critical juncture; not only in the Rockies’ season, but in his career. 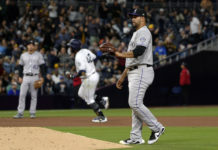 Gray, still only 26 and starter of only 70 major-league games, was expected to be the Rockies’ best pitcher by a significant margin, but the big Oklahoman has only been able to fleetingly grasp the tantalizing potential that made him the third overall pick in the 2013 draft. Today, Gray’s simply trying to hang on. His 5-6 record and his 5.68 ERA is more in line for someone about to be sent to the minor leagues than befits a player than went 10-4 with a 3.67 ERA in 2017. But Gray’s breakout campaign has been followed by a nightmarish season in which he seems to be second-guessing himself on nearly every pitch; a recipe for disaster. Gray’s pitches themselves have been fine; his high-90’s fastball and filthy slider look the same as ever, and he’s leading the team with 76 strikeouts while his 19 walks are the fewest surrendered by any pitcher in the rotation. It’s not Gray’s arm that’s the problem; it’s that he’s throwing too many hittable pitches – and that he gets frustrated and loses composure after surrendering a big hit or an early run, putting him into a downward spiral. In his last four games, Gray’s coughed up 19 earned runs in only 18-1/3 innings; the disastrous 9.33 ERA isn’t even the ugliest number; Gray has averaged 93 pitches per game in that span, but has only gotten out of the fourth inning twice and is allowing an opposing batting average of .360. Gray told Saunders that he’d be willing to be reassigned to Triple-A Albuquerque in order to fine-tune things; something that the Rockies can’t afford to do. Gray hasn’t been their best pitcher, but he is their best pitcher – which means that he’ll need to work things out at the major-league level. Trust in his catcher will be critical. While Gray said that he’s not the type to simply throw exactly what his catcher suggests without deciding the “purpose” of the pitch, it’s possible that it’s exactly what he should try; something that reduces his liability – and therefore, his ability to blame himself – while attempting a mental reboot. Gray has the ability to become one of the National League’s finest pitchers; something he appeared to be on cusp of becoming last season. But it’s not his ability that’s the problem, or his health, or any of the things that often hold so many young pitchers back – it’s his head. Gray cares too much. Cincinnati is fewer than 500 miles from Durham, North Carolina, the setting of “Bull Durham,” which was released 30 years ago and is still considered perhaps the finest baseball film ever made. 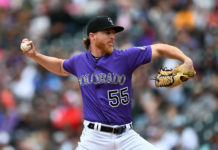 For Jon Gray, the time will come again to consider, ponder and deliberate each and every pitch, but while his desire to learn and think on the mound is an asset, for the short term, he’d be well-advised to get out of his own head. For now? Don’t think; just throw.